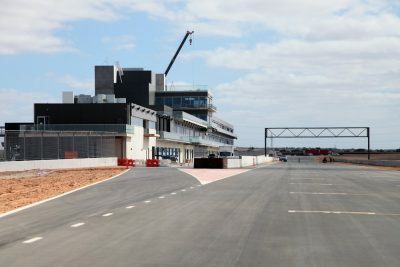 Supercars drivers have assisted in the delivery of the all-new The Bend Motorsport Park facility which is in the final stages of construction. 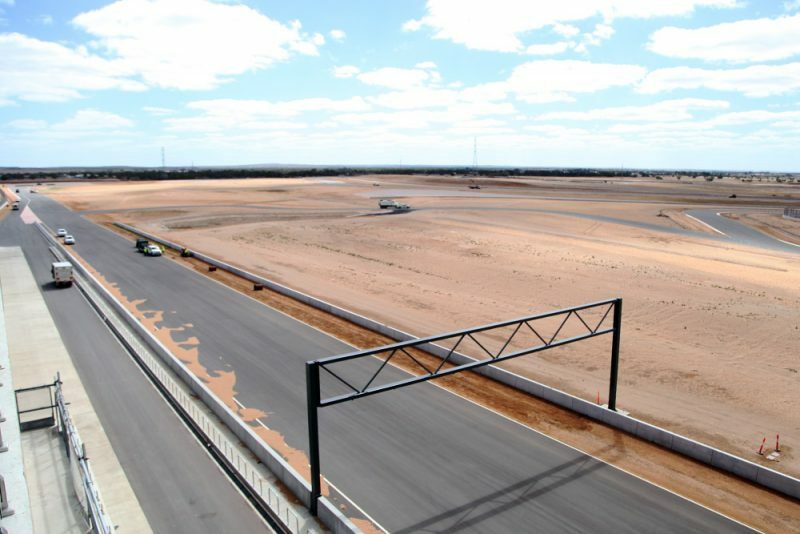 The state-of-the-art $110 million circuit, situated at Tailem Bend in South Australia, is set to become one of the most advanced in the country when it officially opens its doors next month. CLICK HERE for a corner-by-corner guide to the newest circuit on the Supercars calendar. Built to FIA Grade 2 and FIM Category A standards, the 7.7km circuit, the second longest permanent track in the world, will host its first motorsport event when the Shannons Nationals arrives on April 13-15. It will also welcome the Virgin Australia Supercars Championship which will utilise the shorter but equally challenging 4.95km International layout from August 24-26. Inspired by some of the world’s most iconic tracks, The Bend has sought advice from across the globe, including the Yas Marina Circuit in Abu Dhabi and British circuit entrepreneur and former Formula 1 driver Jonathan Palmer. However, drivers have been at the forefront with Supercars trio Jamie Whincup, Garth Tander and Nick Percat enlisted to provide feedback in recent weeks to help the venue deliver a world class circuit. Circuit general manager Mark Warren says the input from drivers has been vital in ensuring the track provides the best racing for comeptitors and fans. “I shouldn’t use a cliche, but this really is a circuit designed by racers, for racers, including our directors who have had a lot of say,” Warren told Speedcafe.com. “That’s been a real advantage because it’s allowed us to continually iterate the design and have an active discussion with the engineering team. “Mark Skaife had a lot of input early on, as did Mark Webber, and Mick Doohan from a motorcycle racing viewpoint. Garth Tander and more recently Jamie Whincup have had a good look and provided feedback. “Every conversation has led us to look at the cambers and the radius of corners, not in isolation but in combination to set up good passing opportunities, and make it a good driver’s circuit. “You want to have a couple of tough corners, but you don’t want to make it impossible to drive. The key is to have multiple driving lines so it keeps the front runner guessing where ‘old mate’ might take the next dive, and to allow drivers to get innovative. Whincup is among a handful of Supercars drivers to visit the venue in the last month to offer feedback. The seven-time champion believes the venue has the potential to be one of the best tracks in the world. 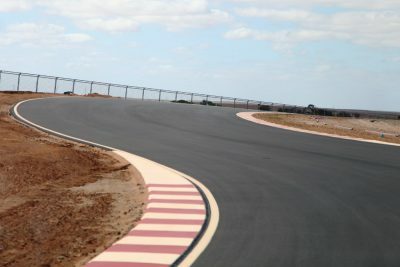 “The track is unbelievable and absolutely world class, it is the only circuit in the world where you can stand on top of the grandstand and see the whole 7.77km,” Whincup told Speedcafe.com. “They have done an unbelievable job. “It is so good that we have facilities like that we can go to. “It will be a great place to offer good racing, they have just gone absolutely all out to make one of the best tracks in world. 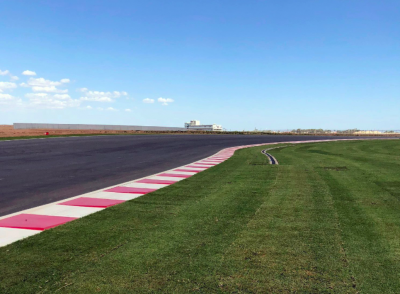 Six weeks out from the first motor racing event Warren says the circuit, which will feature a 100-room Rydges operated hotel, drag strip and kart/rallycross track, is on schedule. “Just like a race team building a brand new car ahead of the season opener, attention to every detail is key; there are no shortcuts, not when you set yourself the goal of competing with the world’s best,” added Warren. “The circuit asphalt is in its final days of the 12 week curing period, the barriers are in with a few debris fence panels to go and gravel traps are being installed. “We are laying in kilometers of irrigation, and turfing works have started this week to get the place nice and green. “The 25,000 square metres of asphalt for the main paddock is also being completed this week and grandstands begin installation. “Next week we have race lights, CCTV and timing systems all being commissioned. 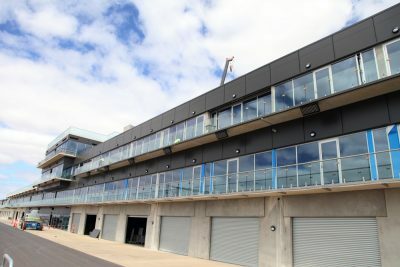 “The new Rydges Pit Lane Hotel in the pit building itself is being fitted out along with the kitchen, restaurant, bar and conferencing facilities.